White water raft down the Zambezi River stopping between selected rapids to fis for Tiger fish, Vundu, Bottlenose, Cornish Jack and more on a catch, photograph and release basis. Bring your own fishing equipment or hire it from Bundu Adventures. You can opt for a helicopter take-out. 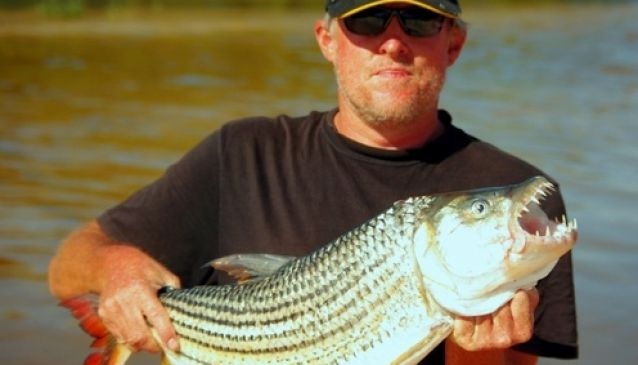 For an experience of a life time, book a 6 day fishing trip all the way down to Lake Kariba! Or opt for rafting and fishing for 2 or 3 days, sleeping on the beach between rapids.